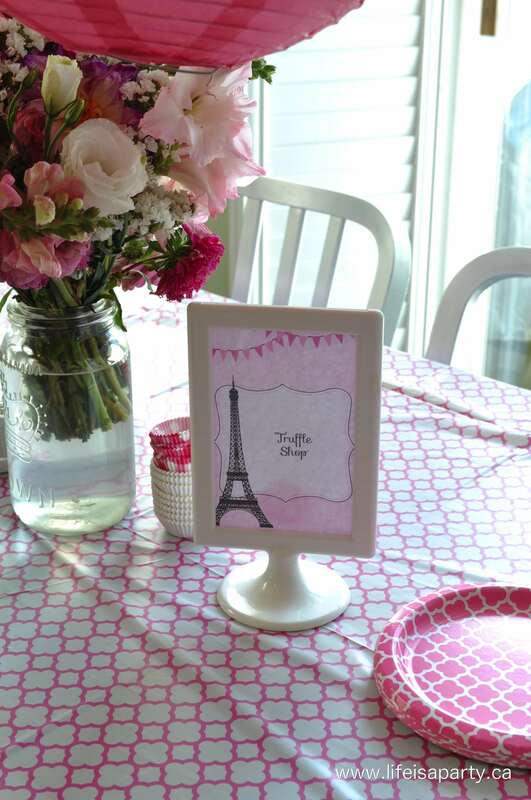 Last week, my eldest daughter, Paige, turned 11 and we had a little Paris themed party to celebrate. We ordered some great party invites, that had a little passport and boarding pass in them, so as guests arrived we welcomed them at the “Passport and Customs Check” which I decorated with a little vintage luggage and some fun old Paris luggage tags attached. I had a fun Paris stamp to mark everyone’s passport as they entered. The girls loved the idea of arriving in Paris, and we planed our party activities imagining we were in the city for the day. The first stop, the Eiffel Tower! This was a fun little activity to work on as the guests were arriving. We used pink and silver glittery pipe cleaners to build our own version of the famous tower! When you think of Paris, you think of what the city is famous for -food and fashion! So, our next stop was to the Truffle Shop. We set up a little Truffle shop in the kitchen for everyone to make their own truffles. Ahead of time, I made the truffle centres -see my recipe here, so that all I had to do was scoop up the little balls -a mini ice cream scoop worked great for this, and then let the kids choose their toppings to roll them in. 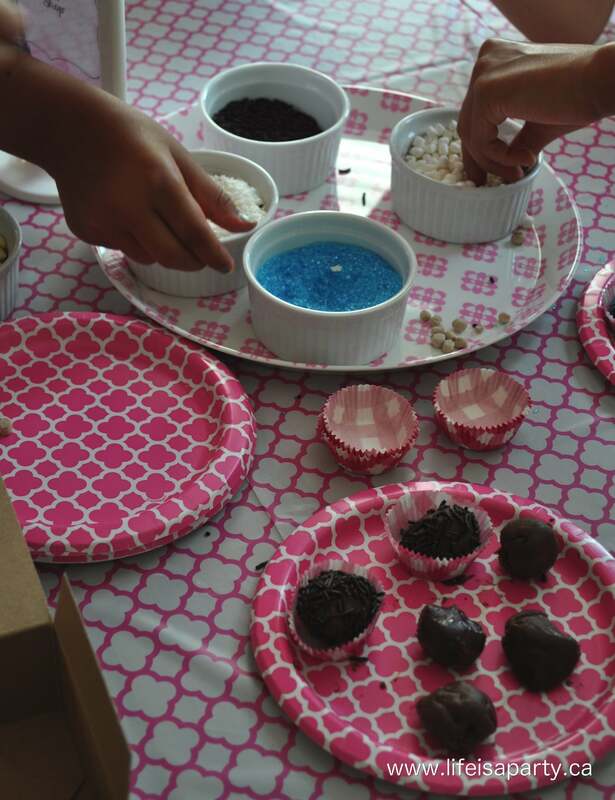 We had sprinkles, coconut, nuts, mini marshmallows, graham crackers, mini white chocolate chips coco powder, icing sugar, and coarse sugar, and the girls had lots of fun making their choices and fun combinations. When they were done, we put them in little pink wrappers, and made a sweet take home box for everyone. 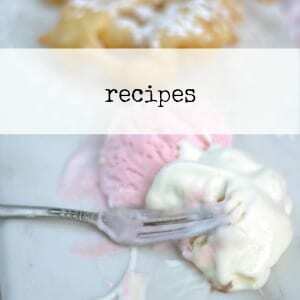 This was a really easy activity that the kids really enjoyed doing. Next up, on our tour of Paris for the day was the Fashion Studio. 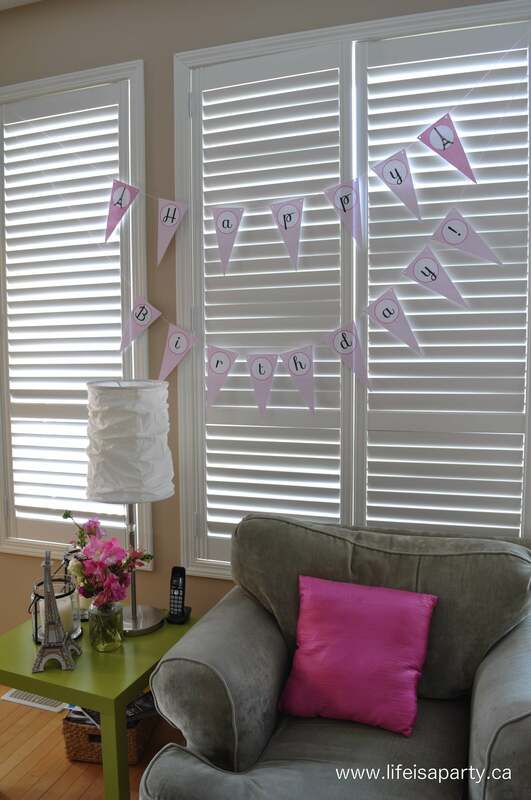 We put out lots of different colours of tissue paper, tape, washi tape, ribbon, and pretty ruffled streamers. 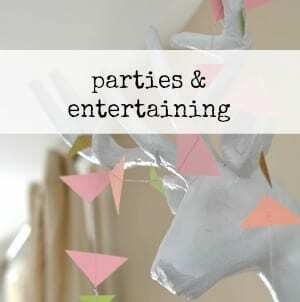 The streamers are easy to make on the sewing machine, and were a real favourite with the girls. We divided the girls into two groups and then they each picked one person to be a model. 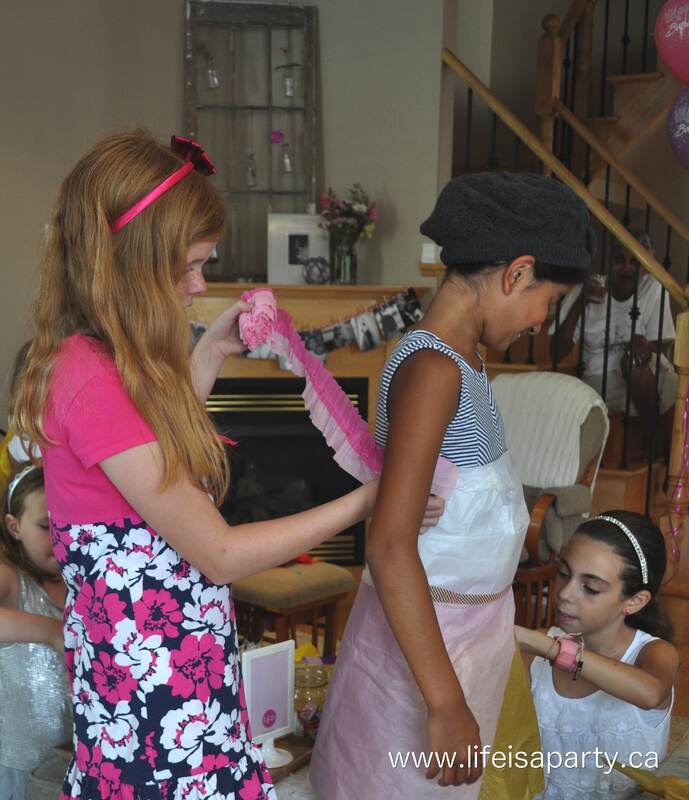 They had a great time creating tissue paper dresses and decorating them with streamer ruffles and washi tape accents. It was adorable, and so much fun to see their creativity. The next activity involved another thing Paris is famous for…food! I’ll share all the details of the French inspired lunch and dessert table soon. 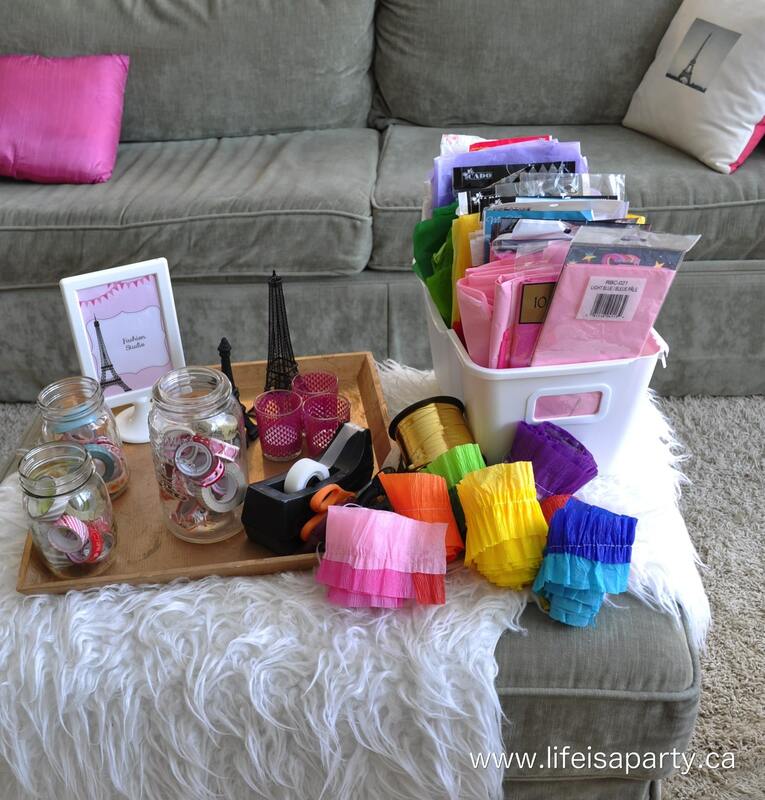 Along with the fun Paris inspired activities from the party I wanted to share some of the easy decorations too. We went to the farmers’ market the day before and picked up a bunch of pretty bouquets of pink flowers. I just loved them. We also scattered Eiffel Towers everywhere. 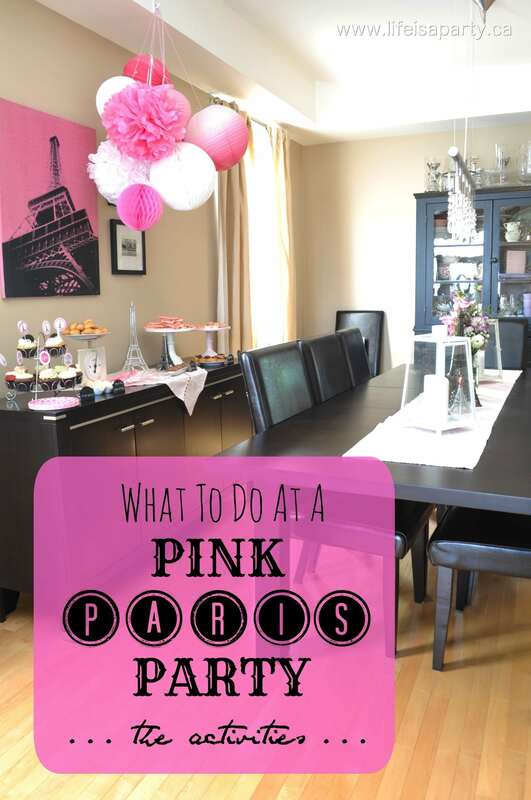 I just happen to have a collection of them, so we had pretty much everything to make our pink Paris party decorations. 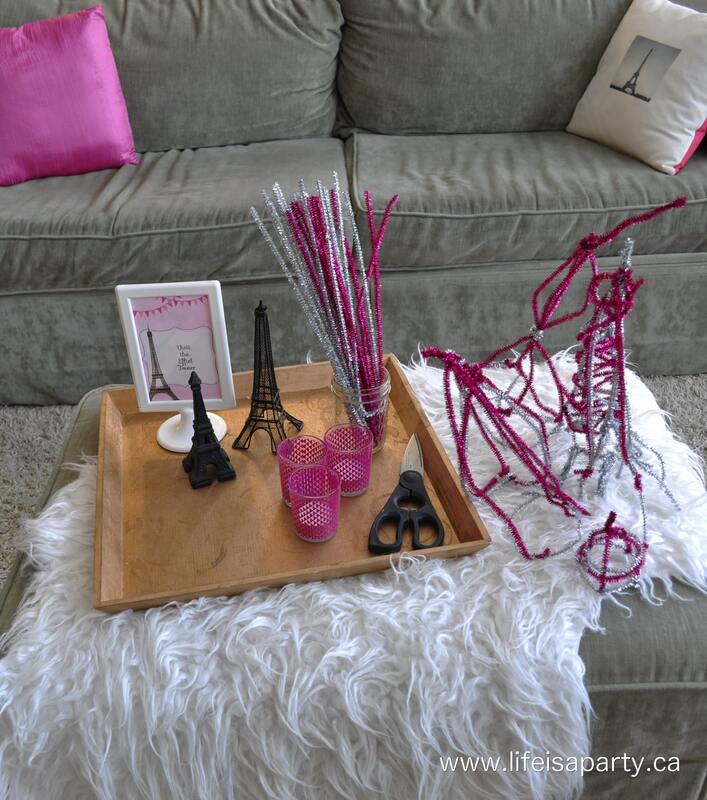 We did pick up this giant Eiffel Tower at a thrift store, and Paige has moved it to her room since the party. 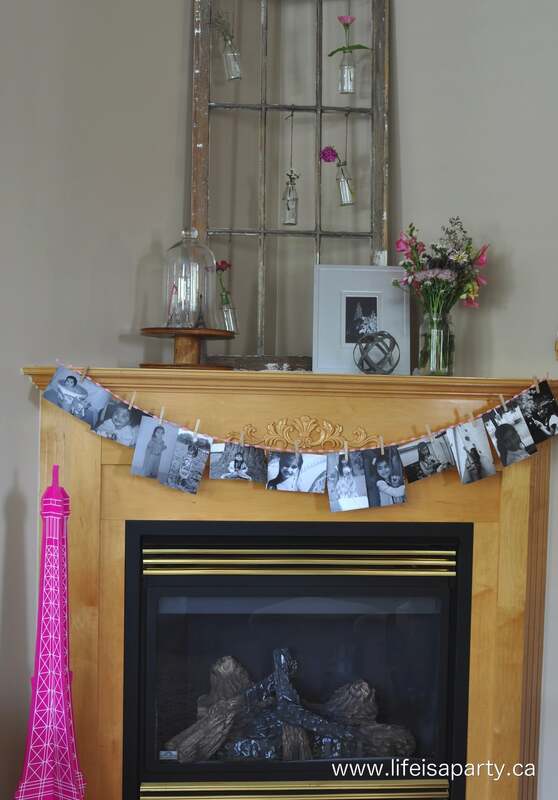 Maddie made the pretty bunting of photos of her big sister, printing one for each year. I know it’s not a new idea, but we had actually never done it for a party before and seeing those photos over the eleven year span reminded of how beautiful my girl is, and how quickly she has grown! One other fun little detail, remember Maddie’s vintage bike makeover from the spring. 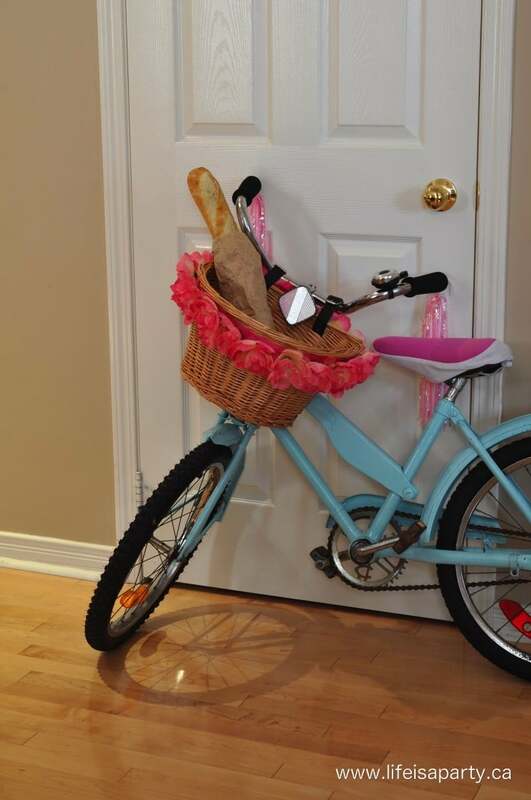 Well, its seemed liked the perfect French accessory, so we set it up in the dining room, with a baguette in the basket. Perfect, oui? I actually found it really hard to come up with a favour for our little guests. I wanted something that fit our theme, but that little girls would enjoy. Here’s what I came up with for our goodie bags; we sent them home with their little box of 6 homemade truffles, a Paris chocolate lollipop, and a sweet little Eiffel Tower necklace. Perfect. The birthday girl had a great time with her friends, and we had a great time celebrating her! 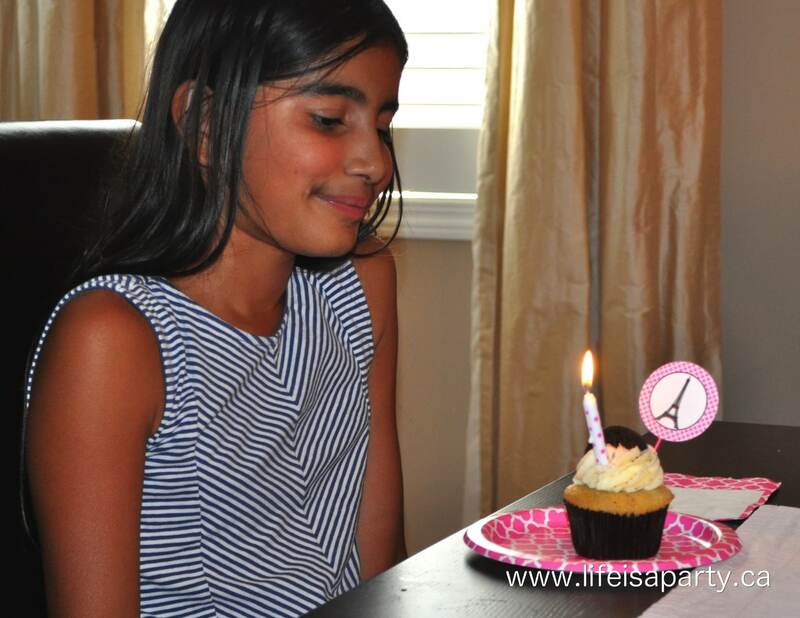 With a pink Paris birthday, life really is a party! Thanks Melanie, it was a lot fun. 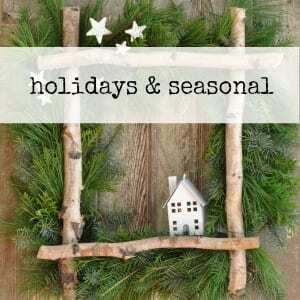 The I feel like the key to setting the stage for any season or party is to have a neutral backdrop to work with. Thanks so much for stopping by. Thanks Sabrina, great post idea! Although, I’m not sure I could show you how messy my storage is, lol. 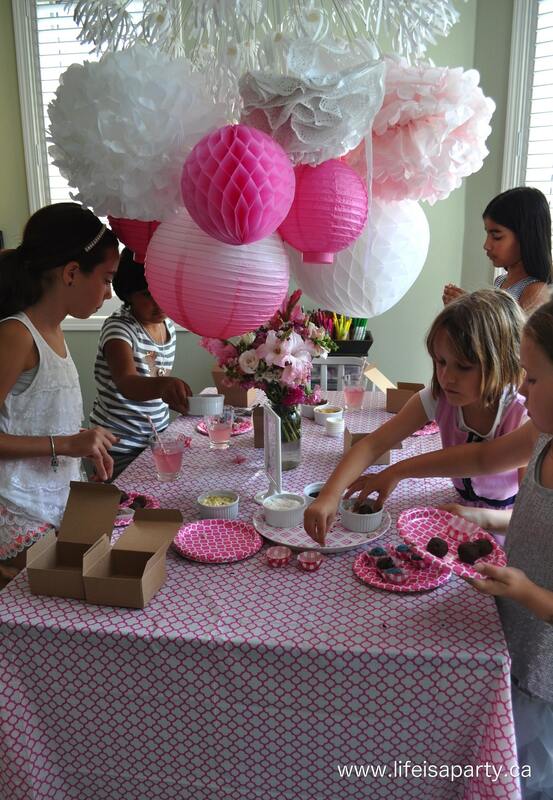 How would you make this party theme work if your daughter has some good friends that are boys? 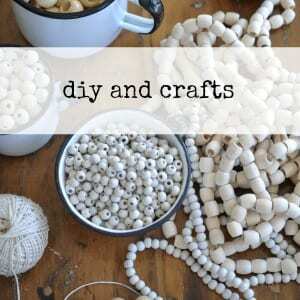 Considering all the girly crafts and such, maybe some outdoor activities, or some fun games without all the girly crafts and etc.? Any ideas? Also what would be a good location for it besides your own house? Maybe a park or Restaurant, or Theme Park? How would that work? Great ideas and decorations, along with the food choices! I’m sure the Eiffel Tower building and truffle making would still be a hit with boys too. Perhaps a park location would work, you could turn the lunch into a french picnic maybe? Thanks for your comment, and wishing your 10 year old a very happy birthday, and fun party. Gorgeous party! Love all of the fresh flowers and beautiful details! What was your source for the metal Eiffel Towers? And LOVE the black and pink Eiffel Tower print – where did you find it, or did you print it yourself? Love your ideas!!! So creative and engaging!! 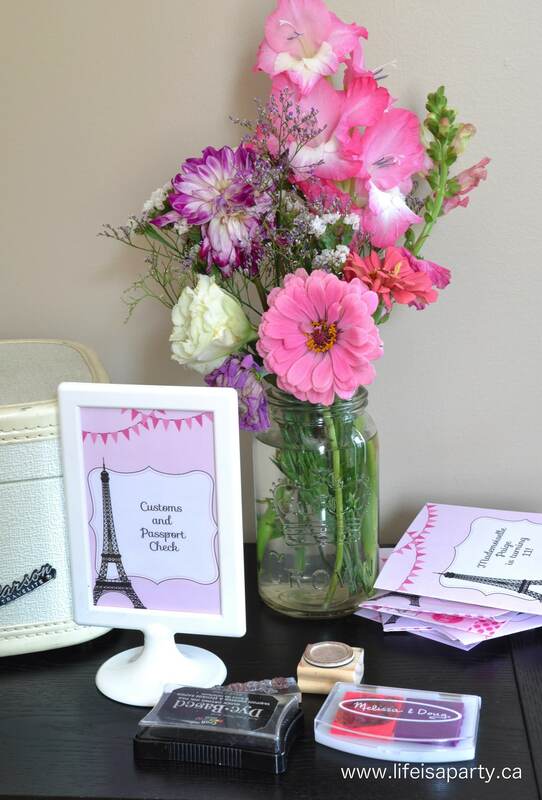 I’m planning a Paris themed party for my soon-to-be ten year old and I will be using these ideas!! Thank you so much!! Debra, thanks so much. I’m so glad we could help, and Happy Birthday to your little one. Where were the necklaces from? They are so cute!!! Hi Ellen, I think we picked them up at Claire’s. Hope this helps. 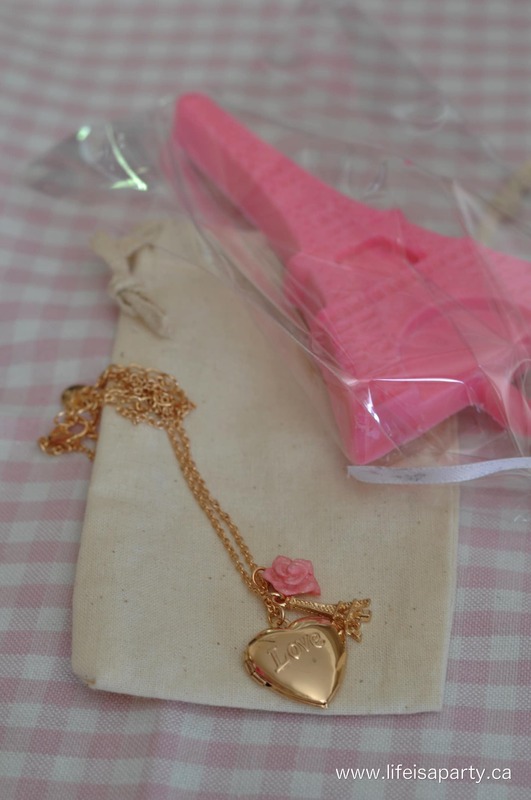 Where did you pick up the necklace? Thats a great idea. The necklaces are just from an accessories store, Claire’s it’s called. Hi Tammy, I purchased the passport invites from a seller on Etsy -just search Paris Passport Invitations and you should find something similar. Hope that helps. 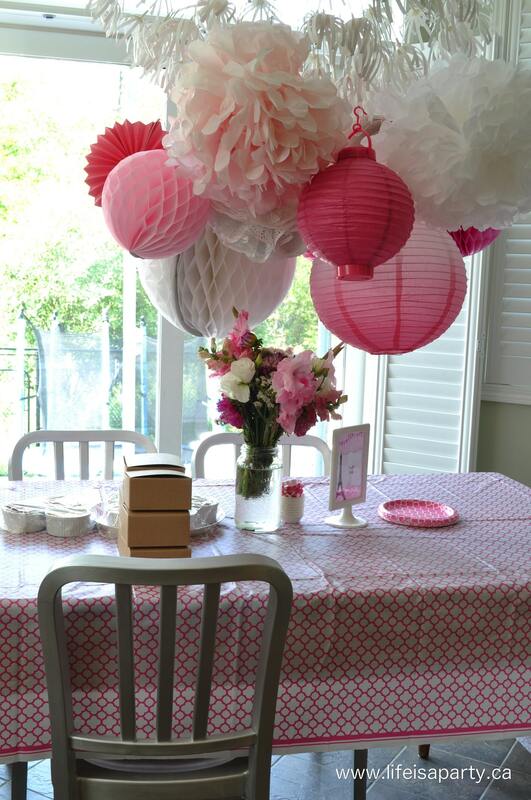 great theme…so nice idea…i loved everything you created.i am planning this theme for my daughter’s birthday.. Thanks Santana, I hope your daughter has a wonderful birthday! 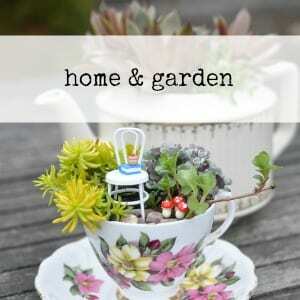 I love all these amazing ideas! I think my girls will have a Paris themed party this year! Jen, hope you have a wonderful party! Thank you for these amazing ideas!!!!! Did you make the printouts for each station yourself (Customs…), or are they a part of a template set that you purchased? Hi Lori, the printouts for each station were part of a package we bought off of etsy. We were able to customize them for each station, and we used inexpensive Ikea frames to hold them. Hope this helps.